Celebrity New Years Eve Party & 3 Days Rising Movie Kick Off featuring Bonnie Somerville, and more! 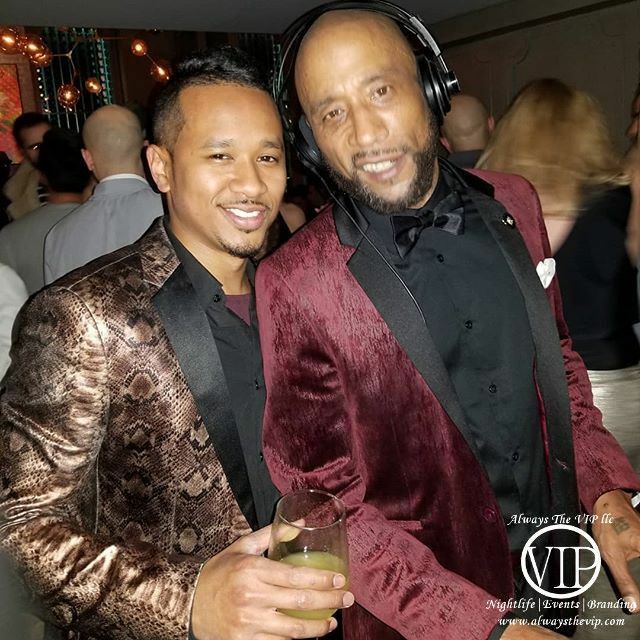 NEW YORK - Dec. 28, 2018 - PRLog -- When you think of New Years Eve in NYC, what better way could you imagine spending it than mingling with celebrities from the TV shows and movies we adore? The marketing teams of Always The VIP, Noel Ashman, Epic Group and friends well known for fashion and nightlife events, have teamed up to bring you another unforgettable experience with a Celebrity party and kick off event for the new movie "3 Days Rising" at the trendy restaurant I Tre Merli (formerly known as "Revel") in the Meatpacking district of Manhattan, NYC. This unforgettable event will feature guest celebrities Bonnie Somerville (A Star Is Born, "Friends", "Code Black", "NYPD Blue"), Peter Greene (Pulp Fiction, The Mask, The Usual Suspects, Training Day), Rich Graff (Lucky Luciano "The Making of the Mob", "Law & Order"), Vincent Young ("Beverly Hills 90210", Escape Plan 2). Spinning on the ones and twos we will have music by Lee Kalt, Corey Jasper, Steve Lewis and a special live dj performance by LORD JAMAR of the chart topping group BRAND NUBIAN! In addition to a great lineup of celebs we've arranged awesome deals including a two hour bar for ticket holders and unheard of bottle packages including a 3 course gourmet dinner with a bottle of veuve/moet! Come rub elbows with celebs who know how to party, and take amazing selfies and stories to post on your favorite social media. With a beautiful venue, great drinks, and company like this it will DEFINITELY be a New Year's Eve to remember!